August 2019, Good price for YVR-KEF-MAD Icelandair Saga Business Class on Boeing 757 for one-stop service Vancouver to Madrid. 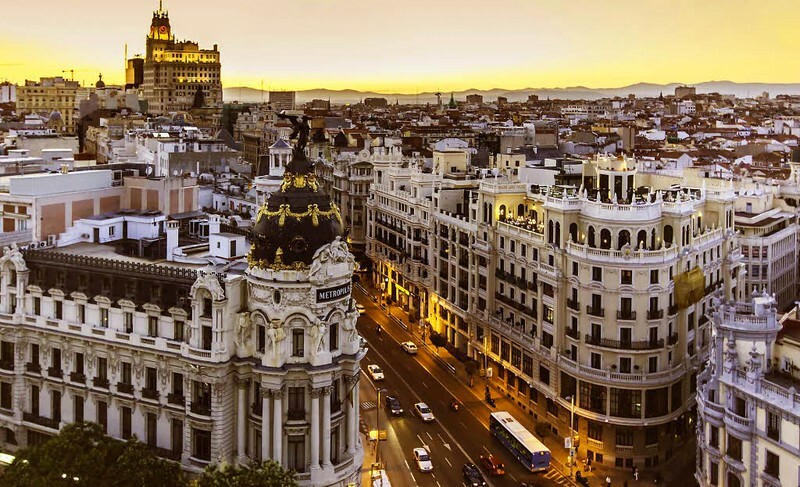 Enjoy the perks of Business Class and the late summer air of Madrid. YVR-KEF Business Class on Boeing 757. Travel time: 7h 5m Overnight. KEF-MAD Business Class on Boeing 757. Travel time: 4h 5m. Icelandair MAD-KEF Business Class on Boeing 757. Travel time: 4h 15m. Icelandair KEF-YVR Business Class on Boeing 757. Travel time: 7h 45m. Saga Business Class seats are recliner seats, not flat. Here is a great review of Saga Business Class from OneMileAtATime. On the return trip, unfortunately there is a 15h 35m overnight layover in Reykjavik KEF. But you could make it a quick visit.